Dr. Khitin Named A Top Beauty Doctor Of 2016 By New Beauty Mag! New Beauty Magazine is a sophisticated beauty resource, helping redefine the space with its trend-driven approach focused on education powered with innovation. It helps patients learn about treatments, find doctors, read testimonials and make the most educated decision before embarking on a procedure. For the April 2016 issue, New York Vein Treatment Center's Dr. Khitin was featured as one of the "Top Beauty Doctors" of 2016, adding to his list of awards from experts in the medical and beauty fields. 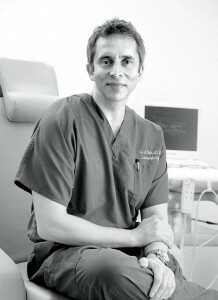 "At the New York Vein Treatment Center, we are focused on compassion, camaraderie, communication and commitment, and it's an honor to be recognized by New Beauty Magazine," commented Dr. Khitin, from his new clinic location in the Upper East Side in Manhattan. Located on 69th Street, between Lexington and Park Avenues, the new clinic provides patients access to state-of-the-art facilities located just steps from the local train.